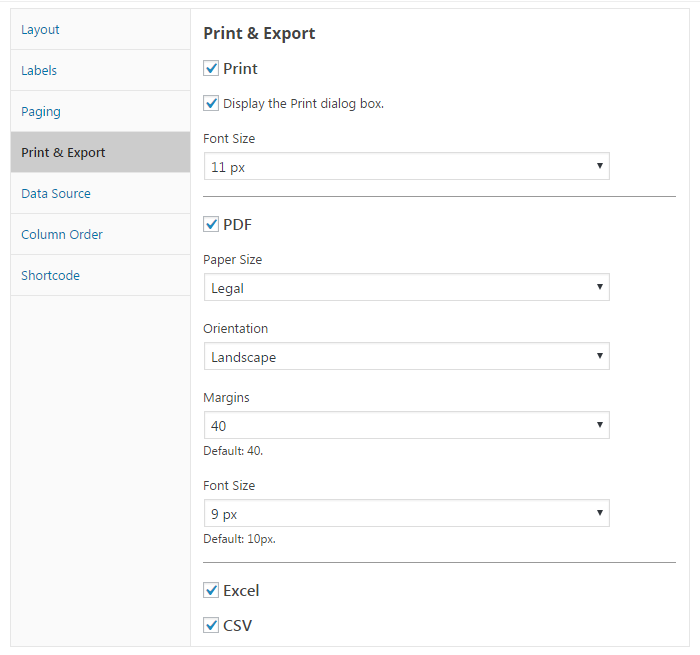 WordPress Plugin Staff Search – Print and Export. The HTML5 buttons make use of the of modern browsers (IE10+, Chrome, Safari, Firefox and Opera) to print or export staff search data. Easy to add. Just select a few options. No coding is required. PDF. Open or save to PDF file. Excel. Open or save to XLSX file. CSV. Save and open in Excel, LibreOffice or any other compatible application.